The FDA’s ‘health’ warnings are practically laughable considering how blatantly it has ignored the obvious detriment of GMO food crops and other toxic substances to the American public. So it should come as no surprise when the organization tells us that a widely known, healthy alternative solution for cancer and other diseases “has not been clinically proven to be a cure or be effective” even though thousands of people have had first-hand success. 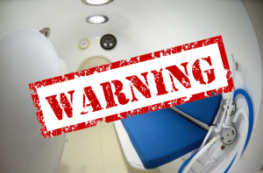 In addition to labeling silver as having ‘no medicinal use’, the FDA thinks ‘hyperbaric oxygen therapy’ (HBOT) used by numerous celebrities as well as every day people around the world is something to be alarmed about. HBOT is simply a large chamber in which the oxygen pressure is above that which is found in the regular atmosphere. It oxygenates the cells to aid in quick healing, and helps people recover from all sorts of disease in a similar manner that our ancestors did – by taking some time to heal in an oxygen-rich, natural environment. The page with the FDA warning looks more like a misinformation ad, not a true health concern. HBOT is used in numerous hospitals for these specific ailments, so why is the FDA so concerned that you might treat Parkinson’s, diabetes, autism, or cancer? Perhaps because these are some of the biggest money-making diseases in America. HBOT, in fact, is very effective in treating numerous ailments, and ‘off-label’ diseases – the same way that eating turmeric is good for your immune system at large, but also seems to reduce cancer tumors and lessen cognitive disrepair in Alzheimer’s and Parkinson’s patients. HBOT may be great for those suffering from PTSD, though the White House keeps denying its effectiveness to veterans. Even though more than 280,000 individuals receive anti-psychotic meds: even though HBOT has been shown to be very effective without all the side effects. Dr. Paul G. Harch, president of the International Hyperbaric Medical Association Foundation, pioneered this treatment. It shouldn’t be ignored even though the FDA poo-poo’s its unsanctioned use. One mother in North Carolina treated three autistic boys effectively with HBOT. Even the American Cancer Society admits it can be helpful in the prevention and treatment of osteoradionecrosis, a term for delayed bone damage caused by radiation therapy. HBOT can be incredibly effective. It looks like the drug-pushers, i.e the FDA, don’t want you to know about a treatment that just uses oxygen. Why is this not surprising? I looked at the stuff they mention and it does have some risks involved in those areas they tell you about, far less risks though that even the mildest meds they allow in most cases. 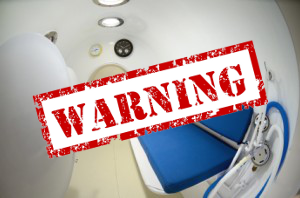 If you ever have to take HBOT you will be told of these risks, except in layman’s terms. For me, the benefits far outweighed any risks, and I’d do it again. The worse I ever had was O2 sickness, threw up and in a few days felt better. I did maybe, key word maybe, lose some hearing and eyesight, but that isn’t conclusive as to the cause. It could have also been the chemo or the radiation, or the barrage of drugs I had to take. What is conclusive though is that after 90 sessions I got to keep my throat which I was about to lose due to radiation damage. I also had treatments with people with bone loss, diabetes sores that would not heal, and a burn victim. For me, and them as well, HBOT was nothing short of a blessing. I highly recommend it. One needs to bear in mind that the FDA more stand for Federal Disinformation Agency than anything else, well, nothing that doesn’t have four letter words in it anyway.